Here are works by other ceramic artists that I like, or that I have bought. I like buying small pieces by other ceramic artists. It makes me feel like I’m giving something back. They also look lovely as a growing collection on my shelf at home. I recently took a trip to St Ives and visited the Leach Pottery. The amazing veteran potter Warren Mckenzie was there demonstrating his skills as part of a two week residency at the pottery. I was extremely lucky to be there at the right time and bought a beautiful teapot he’d brought over with him from Minnesota. In conversation with him he talked to me about how he liked his pieces to be put to use, so I will make tea using the teapot, just very carefully! I’ve been wanting one of Akiko Hirai‘s bottles for a long time. I saw her work for two years running at Ceramic Art London, then finally took the plunge and bought one while I was at Earth and Fire 2013. I just love the bold surface treatment. It’s so rugged and yet so beautifully contemplative. I bought this really sweet Fritz Rossmann cup at Earth and Fire 2013 as I think his use of celedon glaze is possibly the loveliest I’ve seen. The way it pools at the base, it’s just sumptuous! 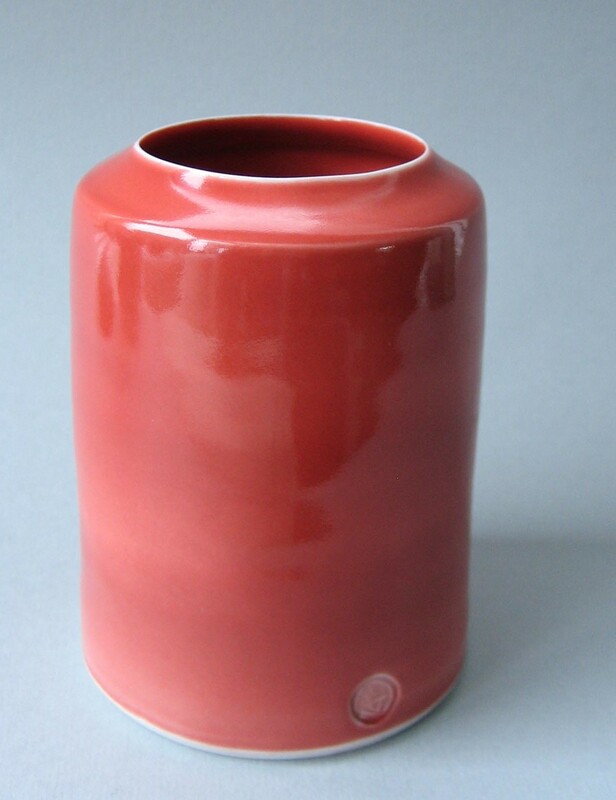 A lovely red vessel, from Tanya Gomez at Ceramic Art London 2012, it provides a vibrant flash of colour in the house. 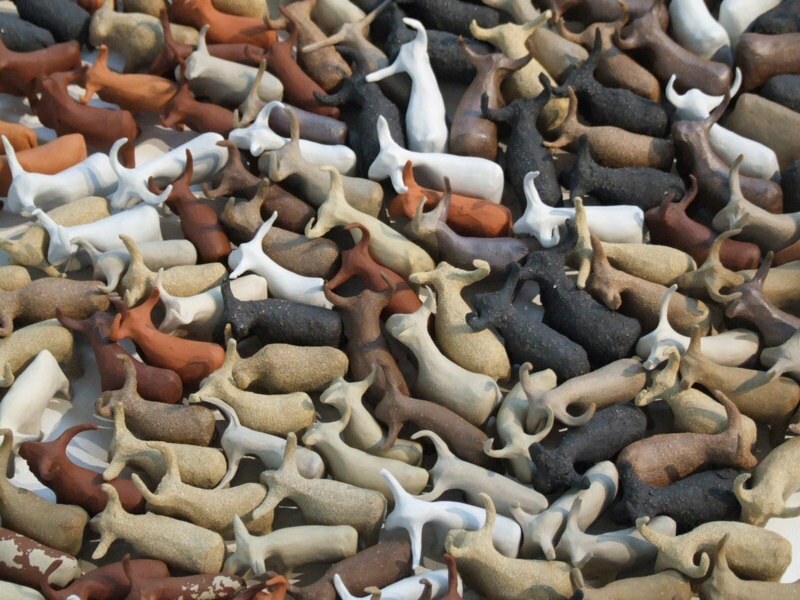 This is a herd of ceramic cows by Kim Bagley. Each one is a few inches high – in pairs or in a large herd, together they make an impressive sight. I’m now the lucky owner of two of these beautiful little creatures. Kim is studying for a Phd at UCA Farnham. A tiny cup made by Lowri Davies. 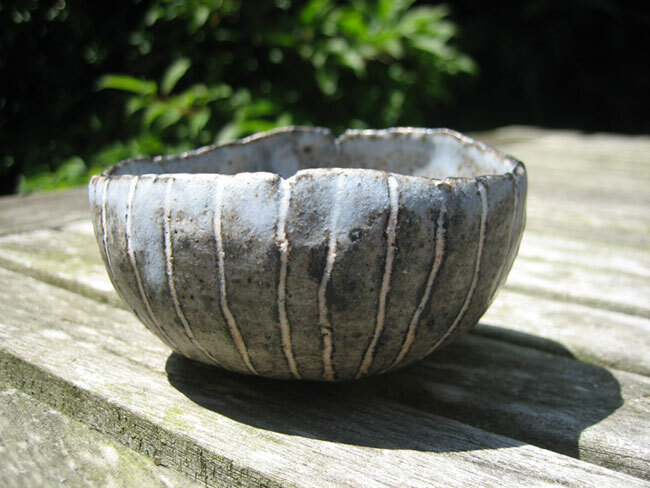 I bought this from her at Ceramic Art London in February 2011. I also saw her demonstrate making at the fantastic International Ceramics Festival in Aberystwyth in July. 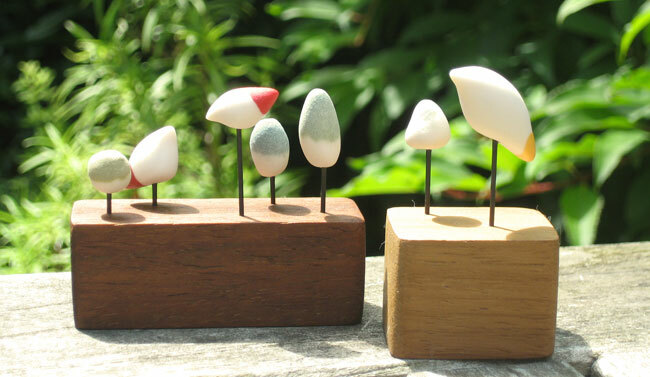 Two ‘bird gardens’ made by Suet Yi. 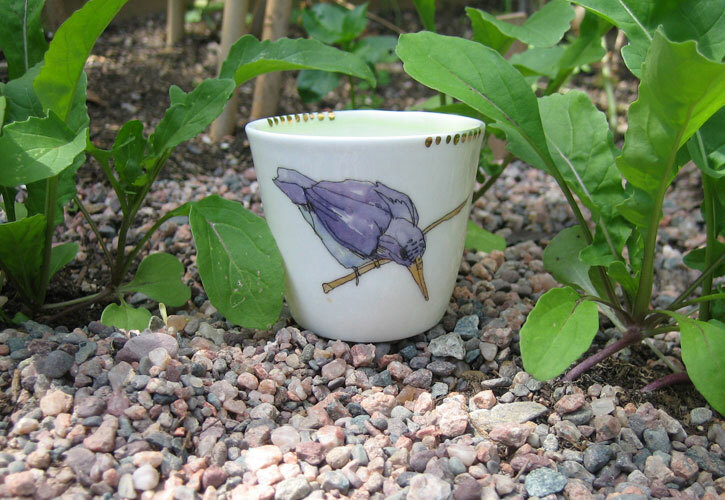 The one with the yellow tailed bird was bought by me at Rufford ‘Earth and Fire’ 2011 from the lovely ceramic artist Suet Yi. The one with the red tailed birds was bought for me as a fantastic surprise birthday present from my friends. Suet Yi graduated in Decorative Arts at Nottingham Trent University. I also chatted with her again a few days later at New Designers, which was a marathon of amazing 3D work from new graduates in 2011. I went with some friends to ‘Earth and Fire 2011‘ at Rufford in Nottinghamshire, which was great. There was a huge variety of ceramics there which kept me and my friends amused for hours. I bought this lovely little bowl by Yo Thom. Once I’d bought it I realised that these bowls are also on the cover of a book I have at home, called ‘Techniques Using Slips‘. Hello, I really love your work, unfortunately I can’t find any way to communicate with you. Any emails please? Thanks very much. My email address is on the ‘about’ page.